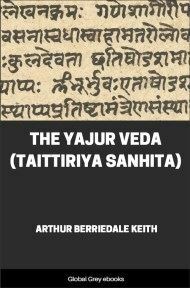 This short book contains three essays (The Study Of Sanskrit, The Religion Of The Veda, and Buddhism), which first appeared in the Deutsche Rundschau of Berlin. 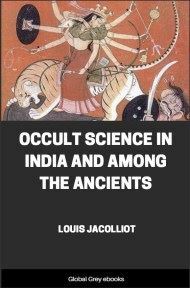 It examines the religion and language of Ancient India. THE study of Sanskrit, the science of the antiquities of India, is about a century old. It was in the year 1784 that a number of men acting in Calcutta as judges or administrative officers of the East India Company, formed themselves into a scientific society, the Asiatic Society. We may say that the founding of the Asiatic Society was contemporaneous with the rise of a new branch of historical inquiry, the possibility of which preceding generations had barely or never thought of. Englishmen began the work ; soon it was taken up by other nations; and in the course of time, in a much greater degree than is the case with the study of hieroglyphic and cuneiform inscriptions, it has become ever more distinctly a branch of inquiry peculiarly German. The little band of workers who are busy in the workshops of this department of science, have not been accustomed to have the eyes of other men turned upon their doings—their successes and failures. But, in spite, nay, rather in consequence of this, it is right that an attempt should be made to invite even the most disinterested to an inspection of these places of industry, and to point out, piece by piece, the work, or at least part of the work, that has been done there. There still lies formless in the workshops of this department of inquiry many a block of unhewn stone, which perhaps will forever resist the shaping hand. But still, under the active chisel, many a form has become visible, from whose features distant times and the past life of a strange people look down upon us— a people who are related to us, yet 'whose ways are so far removed in every respect from our ways. We shall first cast a glance at the beginning of Indian research toward the close of the last century. We shall trace the way in which the new science, after the first hasty survey of its territory, at once concentrated its efforts to a more profound investigation of its subject and advanced to an incomparably broader plane of study. We shall, above all, follow the difficult course pursued in the study of the Veda, the most important of the literary remains of ancient India, a production with which even the works of the oldest Buddhism are not to be compared in point of historical importance. Of the problems that this science encountered, its aspirations, and of the successes that attended its efforts in solving difficult questions, ne may venture to give a description, or at least an outline. The first effective impulse to the study of Sanskrit and Sanskrit literature was given by Sir William Jones, who, in 1783, embarked for India to assume the post of Judge of the Supreme Court of Judicature at Fort William. The honor of having inaugurated a new era ot philological inquiry, was heightened by the lustre and charm of personal character which this gifted and versatile man exerted upon his contemporaries. In prose and in verse Jones is extolled by his friends of both sexes as the phoenix of his time, "the most enlightened of the sons of men "—encomiums many of which a calmer and more distant observer would be inclined to modify. The correspondence and other memoranda of Jones, which exist in great abundance , furnish the reader of to-day rather the picture of an indefatigable and euphuistic dilettante, than that of an earnest investigator,—apart from the fact that he was alike greatly deficient in discernment and zeal. As a young man we find Jones engaged in reading and reproducing in English verse, the works of Persian and Arabian poets; occasionally also with glimpses into Chinese literature. Then, again, a project of his own, an heroic epic—a sort of new Aeneid, for which, and certainly with ingenuity enough, the Phoenician mythological deities were impressed into service— was to celebrate the perfections of the English constitution. On the journey to India this man of thirty- seven sketched a catalogue of the works, which, God granting him life, he hoped to write after celebrated models. These models were carefully designated opposite the separate projects of the outline. By the side of this heroic epic (after the pattern of Homer-), we find a history of the war with America (after the patterns of Thucydides and Polybius), a philosophical and historical dialogue (after the pattern 01 Plato), and other plans of similar works. 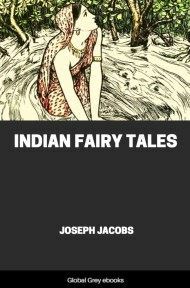 With this feeling of omnipotent self-assurance, wholly untroubled with doubts, Jones was placed in India before the task of opening a way into the gigantic masses of an unknown literature, of a strange and beautiful poetry. He was as well qualified for the purpose (perhaps in a higher degree so) as many a more earnest and gifted scholar might have been.